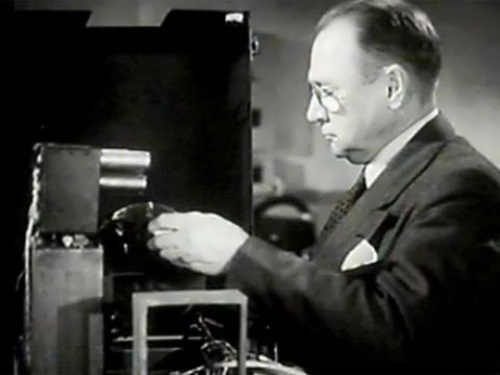 Vladimir Zworykin invented the “miracle of the twentieth century” – electronic television. His innovative ideas were also used to create electron microscopes and electron-optical converters, a variety of devices for medical electronics – from miniature “radio pills” to television device for the blind. 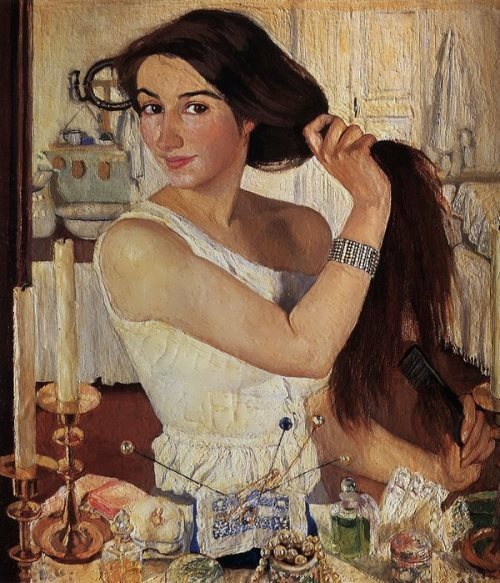 Vladimir Kozmich was born on July 30, 1889 in Murom. The three-story stone house, in which he spent his childhood and youth, has survived to our time and now it is the Murom Historical and Art Museum. Father Kozma Alekseevich was a merchant of the first guild, headed the Murom Public Bank. 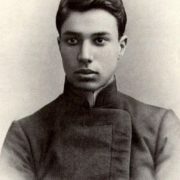 Vladimir was the youngest of seven children. You know, two brothers of Kozma Alekseevich became scientists. Nikolai Alekseevich Zvorykin (1854 – 1884), a student of A. Stoletov, was a master of mathematics and physics. Konstantin Alekseevich Zvorykin (1861-1928) was a professor at the Kiev Polytechnic Institute, the author of fundamental works on the theory of metal cutting and engineering technology. Childhood, spent in Murom, remained in the memory of Vladimir Kozmich as a picture of a serene patriarchal way of life, full of joys. At the age of 12 Vladimir began to help his father. After school the boy went to St. Petersburg, where he entered the Technological Institute. 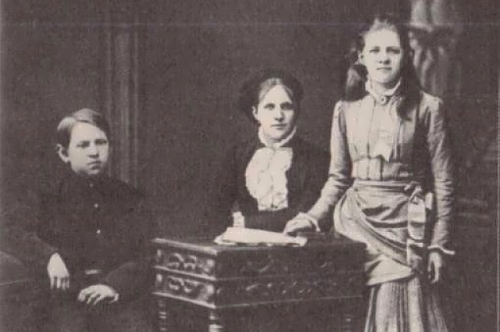 In 1906 freshman Zvorykin participated in noisy rallies, and then in a multi-day student strike. At the institute Vladimir met Professor Boris Lvovich Rosing, the author of pioneer works on the electronic transmission of images over a distance. The image reproduction method patented by Rosing in Russia, Germany and England is based on the bright modulation of the electron beam of the Brown tube by the photocell signal. 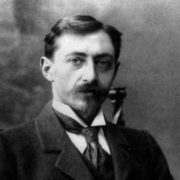 In 1910 Zworykin became a constant assistant to Rosing in the experimental work. 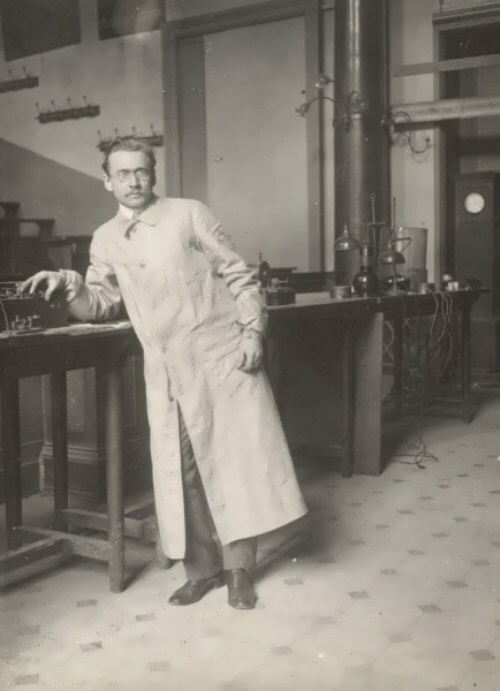 Two years later, in 1912, Zworykin graduated from the Technological Institute and received the right to go on a scientific internship in one of the European laboratories. The father wanted his son to return to Murom. But Vladimir Kozmich was fond of science. On the advice of Rosing he decided to pass an internship in Paris under the leadership of outstanding physicist Paul Langevin. During the year, Vladimir Kozmich studied at the College de France, then traveled to Germany to attend a course in theoretical physics at the Charlottenburg Institute. There he learned about the outbreak of the First World War. 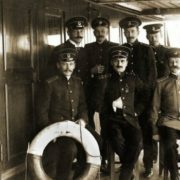 In order not to be interned, Zworykin urgently left for Denmark, from there he went to Russia. For a year and a half Zworykin served at a military radio station in Grodno, after which he got an opportunity to return to Petrograd. There he worked as a teacher at the officer radio school. Soon the February Revolution began and it was impossible to work in Petrograd. Zworykin left for Moscow, where he learned about his father’s death. So Vladimir went to Murom in 1918. The family house in which he was born and grew up became the property of the Soviet of Workers and Soldiers’ Deputies. Vladimir decided to leave Russia and in 1919 he came to the USA. It would be naive to believe that America waited for an emigrant from Russia, who did not show anything special, did not have recommendations, and, moreover, practically did not speak English. Russian Ambassador to the United States Boris Bakhmetiev helped the young man. The firm Westinghouse offered him work in its research laboratory in Pittsburgh. During the year, Vladimir worked on improving the technology of manufacturing receiving and amplifying lamps. 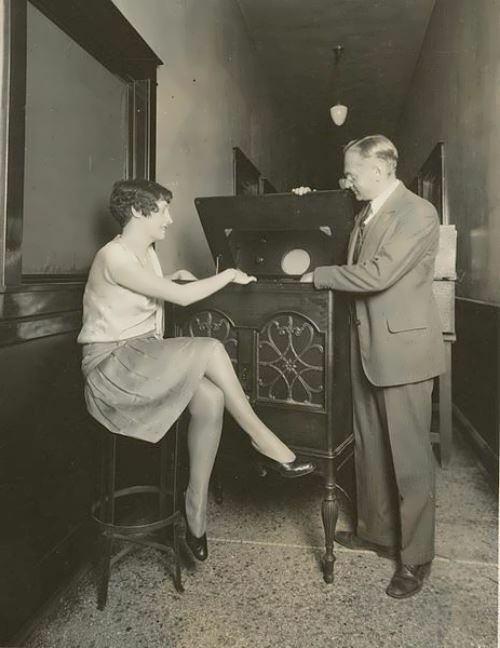 Only in 1923, Zworykin received the opportunity to realize his long-cherished ideas for electronic television. 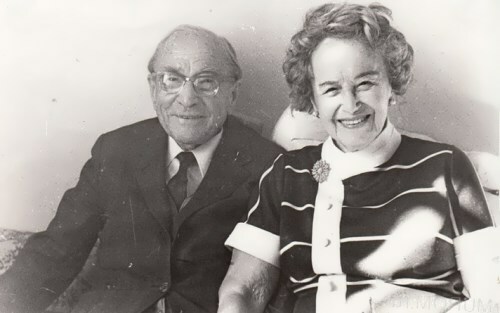 In 1928, he met immigrant from Russia David Sarnoff. 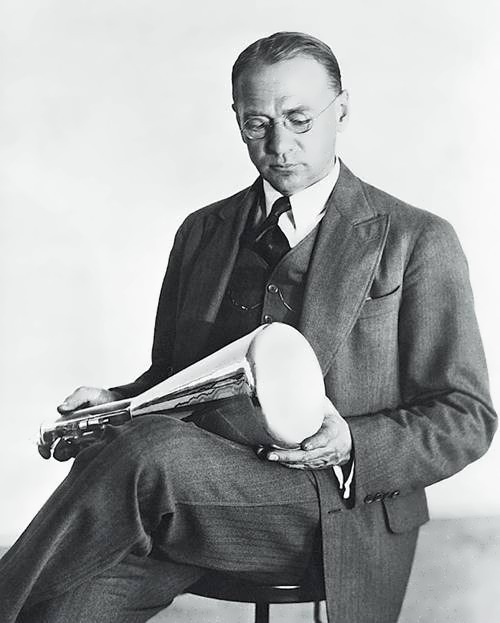 At the time of the meeting with his compatriot David (his parents took him to the United States at the age of nine) was the president of Radio Corporation of America (RCA), the largest company in the American radio industry. Sarnoff appointed Zworykin head of RCA Electronics laboratory. 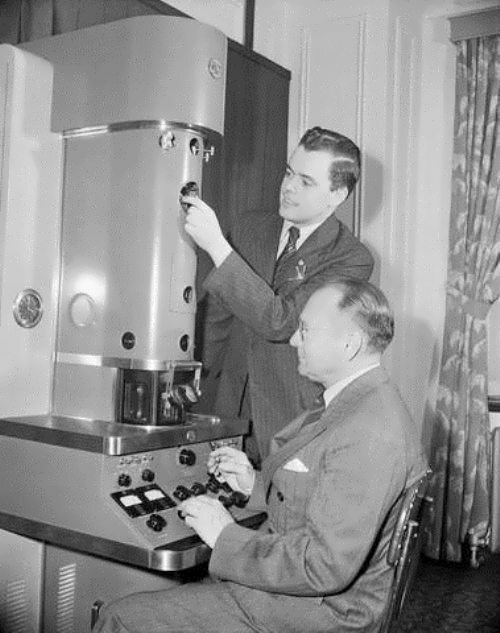 In June 1933, Zworykin spoke at the annual conference of the American Society of Radio Engineers, where he introduced the newly created electronic television system. 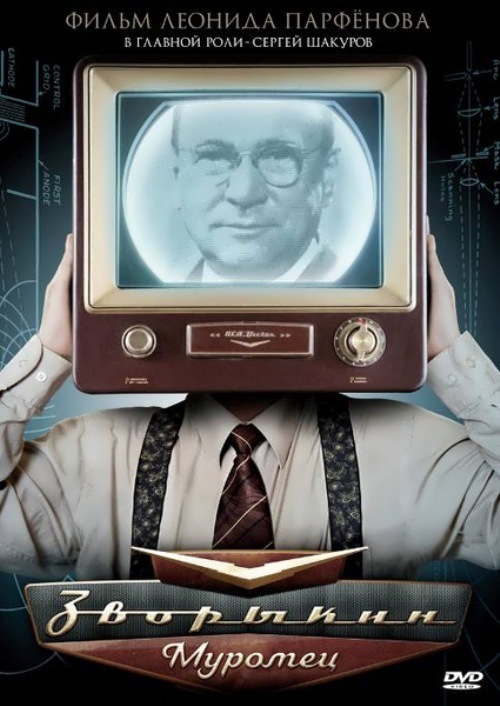 To tell the truth, Zworykin opened a new era in the development of radio electronics, providing a means of communication for society. His experience, advice, ideas were of great interest to everyone who was interested in the further development of television. 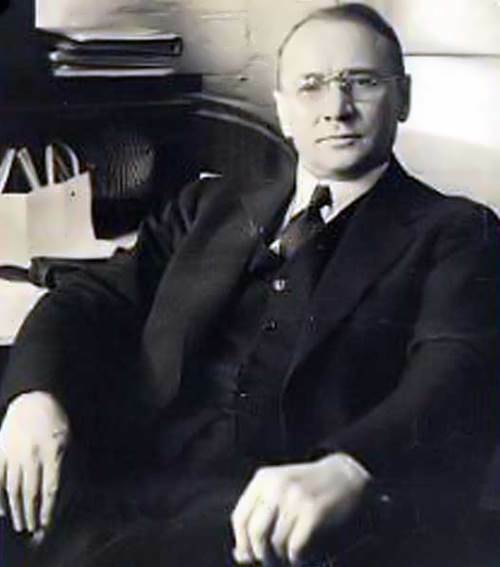 In August 1933 Zworykin visited the USSR and spoke in Leningrad and Moscow. 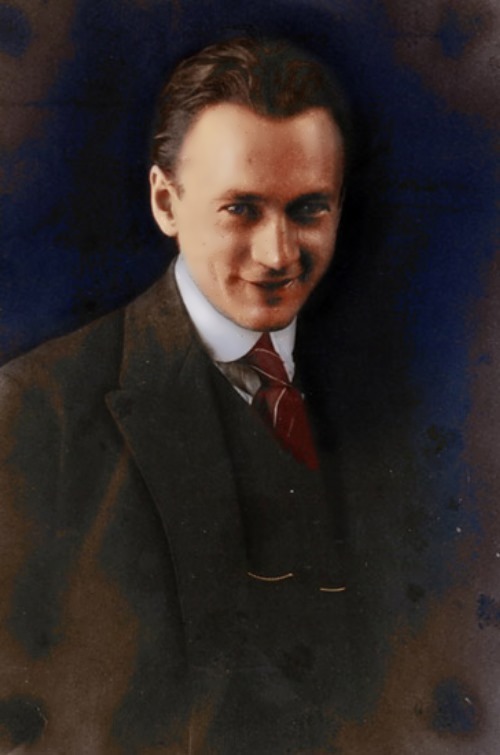 In the second half of the 1930s Zworykin dealt mainly with the problems of electronic optics, conducting research and development jointly with well-known specialists. 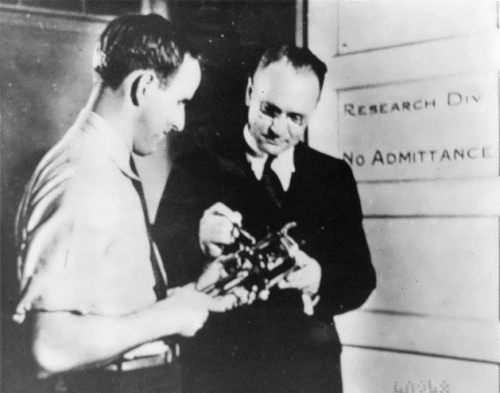 Work in the field of electron-optical converters led to the creation of a night vision device operating in the infrared range. During the Second World War, his night vision devices were used by the US Army to equip tanks and vehicles. Together with the outstanding mathematician John von Neumann Zworykin developed a new method for forecasting weather changes using meteorological sensors and computer data processing. Then he decided to solve the problem of improving traffic safety on expressways and finally created an experimental model of a radio-controlled safe car. The authority of the scientist was very high, many universities would like to cooperate with the inventor of electronic television and electron microscopy. 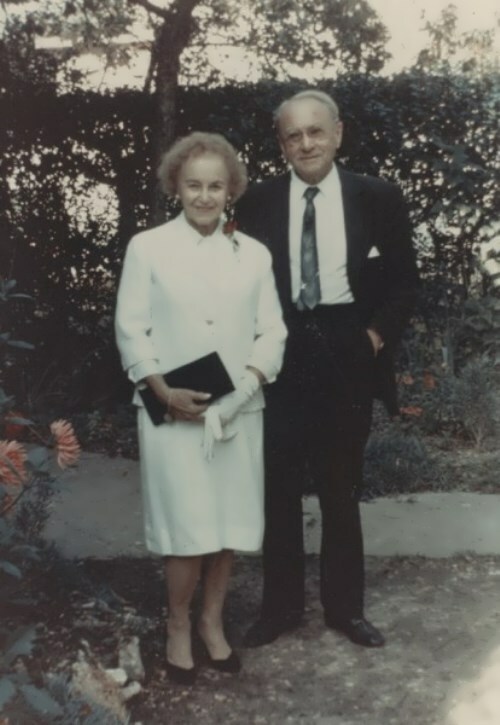 In addition to working at the Rockefeller Institute, Zworykin began his teaching career as a freelance professor at the University of Miami. 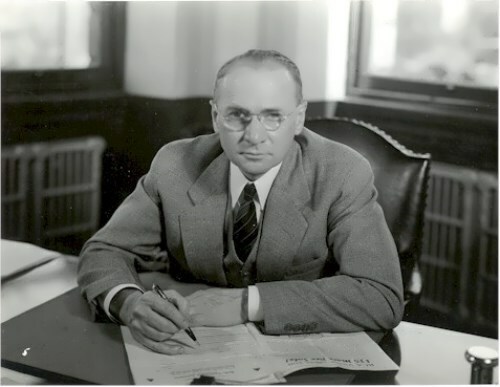 Zworykin owned over 120 scientific patents. His name appeared in the American National Gallery of the Glory of Inventors. What is more, he was awarded more than thirty awards, including the National Medal of Science of the USA, the Pioneer Prize of the American Association of Industrialists, the Order of the French Legion of Honor, the Order of Honor of the Government of Italy, etc. His life was full of trips to many countries, meetings with scientists, engineers, public figures. Since 1959, he came to his homeland eight times, visited relatives, was interested in the development of science, technology, culture in his country. Vladimir Zworykin died on July 29, 1982, in Princeton, New Jersey, USA. 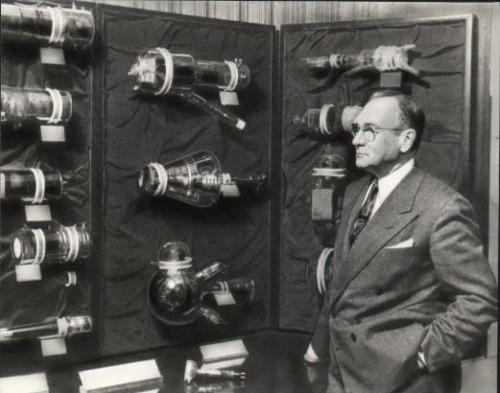 The Russian-born US electronic engineer, during his lifetime was named The Father of Television, and his name was engraved on the Glory Wall of Scientists and Technicians of the United States of America. Vladimir was married twice. 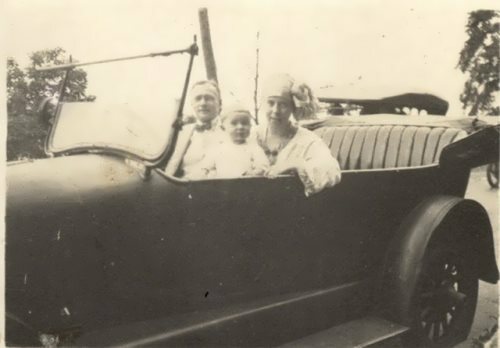 In 1916-1930 Tatyana Vasilyeva was his wife. She gave birth to two daughters Nina (born in 1920) and Elena (born in 1927). 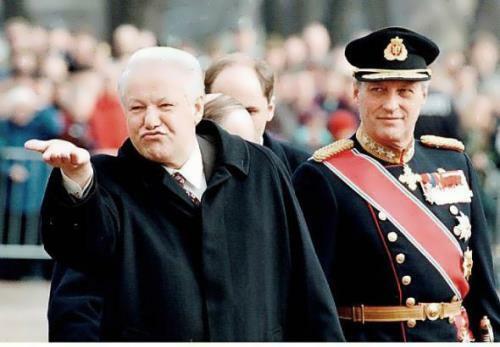 From 1951 to 1982 he was married to Ekaterina Polevitskaya. In 2010 the film Zworykin Muromets was released. 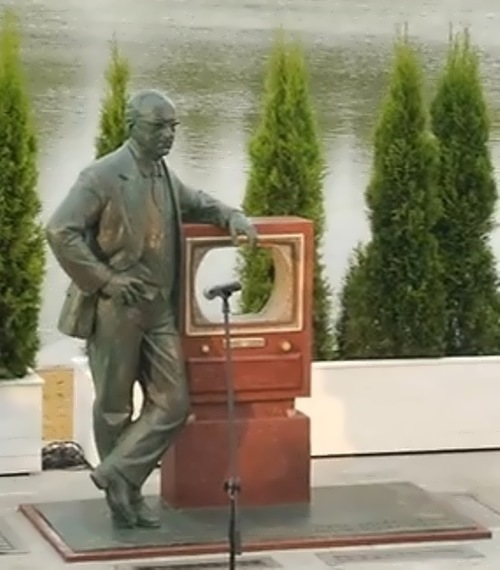 Zworykin Monument in Moscow on the bank of the Ostankino pond was open on July 29, 2013. 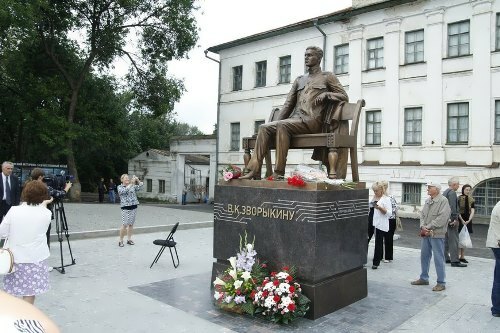 Monument to Zworykin in Murom was opened on July 31, 2013.